Late-term abortionist Warren Hern is facing a jury trial this week after he allegedly botched a woman’s abortion by leaving part of her aborted baby’s skull in her womb. The Lincoln Journal Star reports a Nebraska woman filed a medical malpractice lawsuit against Hern and his Boulder Abortion Clinic in 2015. The jury trial began Monday. Reports only give the couple’s first names: Jennifer and Jason. According to the allegations, Hern failed to remove part of the unborn baby’s skull from Jennifer’s womb; her gynecologist later found the 4-centimeter piece cutting into her uterus. Jennifer alleges that she had to have a hysterectomy as a result, and now she cannot have children, according to court records. The case is being heard in a federal court in Denver, Colorado, near where Hern’s late-term abortion facility is located. The couple is seeking money damages for medical care, physical pain and mental suffering, as well as permanent injury, including the loss of her ability to conceive children. Their attorney, Terry Dougherty of Lincoln, alleges Hern had failed to warn her of the increased risks and negligently misrepresented that the fetus had been entirely removed. Hern’s attorney, Amy Cook Olson, was expected to argue at trial it was the decision to perform a hysterectomy by the woman’s own primary doctor that caused her injuries, not him, according to a trial brief filed in the case. 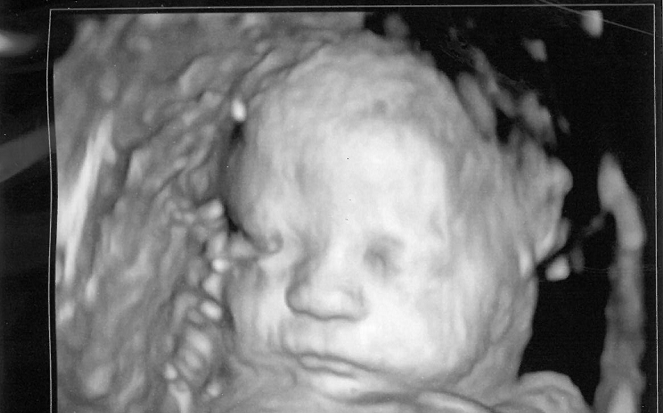 The Nebraska couple said they decided to have a late-term abortion after their primary doctor found that their unborn son was missing part of his brain and likely would die soon before or after birth. They said they paid Hern $7,500 upfront to abort their 25-week unborn baby in December 2013. The lawsuit alleges that there were difficulties with Jennifer’s abortion. She experienced severe vomiting, and Hern’s staff moved up the time of her abortion, according to the lawsuit. During the abortion, Jennifer said she was told that she had only dilated 1-2 centimeters, making it more difficult for Hern to remove her late-term unborn baby. She also alleges that the pain was so intense that she passed out. After the abortion, Jennifer alleges that Hern sent her home, saying her abortion was complete. However, she said she continued to bleed. She said her primary doctor prescribed two different forms of birth control, thinking that was causing the bleeding; but the bleeding did not stop. Later, Jennifer said she went to a gynecologist who performed an ultrasound and found the cause: a 4-centimeter piece of her baby’s skull cutting into her uterine wall. By that time, she said the only solution was to undergo a hysterectomy. Jennifer said she cannot have children as a result. The couple claims Hern was negligent in multiple ways, including failure to inform them of risks, failure to inspect the remains of their aborted baby to ensure the abortion was complete, failure to order post-operative tests to check that the abortion was complete and failure to remove all of their aborted baby’s parts from the womb. Hern has a poor reputation for patient care. In 2016, LifeNews reported evidence that he lied to another patient about her 32-week unborn baby’s development. The woman, Elizabeth, said she paid Hern $10,000 cash to abort her unborn child.